Today, in the Latin Church, we celebrate another great Solemnity, the Solemnity of the Most Holy Trinity. For us as Catholics, the names of the Most Holy Trinity began and end each of our prayers when we say – ‘In the name of the Father, and of the Son, and of the Holy Spirit.’ Is through this formula, known as the Trinitarian formula, that we are also Baptized with water. The mystery of the Most Holy Trinity is the primary and central mystery of the Christian faith and life. Some people will claim since it’s a “mystery”; and it’s impossible to understand. I was once told that an RCIA coordinator on the night he “explained” the Holy Trinity said the following to the RCIA class – the Most Holy Trinity is a mystery. We can’t understand it. Good night. This is a shameful way to explain something that can be explained since the councils and Doctors of the Church have given us the theology to understand such a mystery. The Most Holy Trinity is a mystery because only through God’s revelation that we fully understand it. The Holy Trinity sheds light on all other teachings of the faith as well as illumines our mind to the beautiful works of God the Father, who was revealed to us by the Son. The Father and the Son then reveal to us the Holy Spirit. For an understanding of the God the Holy Spirit, I would encourage you to read last week’s QLC – Pentecost and ‘I Believe in the Holy Spirit’. So what does the Catechism of the Catholic Church teach on the Holy Trinity? 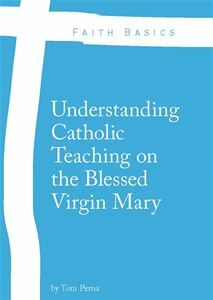 For a deeper and more complete understanding of this teaching of the Church, I would suggest you read paragraphs 232-260. If you are seeking an understanding of the filioque, which has been a point of contention with the Orthodox Churches for centuries, read paragraphs 243-248. Although this was a point of contention for many centuries, it is my understanding that this disagreement has been alleviated through the ecumenical work of our two most recent Popes – St. John Paul II and Pope Emeritus Benedict XVI. Most Blessed Holy Trinity…Pray for Us.